The sector is stealing share away from the BBC, in part thanks to successful brand extensions. By David Benady. A new set of winners and losers emerged in the world of radio in the last quarter of 2014, according to Rajar figures that showed strong performances from Kiss in London and BBC Radio 6 Music. 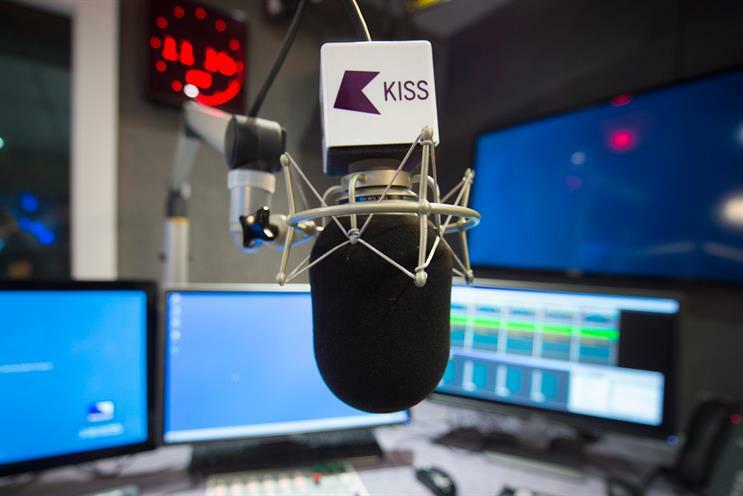 Bauer Media Group’s Kiss leapfrogged Capital FM to become the number one radio station in London. It attracted 1.9 million weekly listeners compared with Capital’s 1.87 million. Global’s Gold was down year on year, while its Classic FM was up 7 per cent compared with the previous quarter but slipped slightly year on year. The Rajars follow a revival in ad revenue for commercial radio, which had a strong Christmas. Ad revenue in 2014 rose 7.6 per cent to an estimated £575 million, according to media owners. This means it is almost back to the pre-recession level of £600 million in 2007. Richard Dunmall, the group managing director at Bauer Media, says: "The market generally is really buoyant from an airtime perspective. Advertisers continue to see the scale benefits of radio." He adds that inflation in TV makes radio more attractive to brands nationally while, on a local level, radio continues to steal ad budgets away from dwindling local newspapers. Rajar figures show commercial radio hit the highest share of weekly listening against the BBC for years, at 44.3 per cent. Its renaissance, especially at the national level, is being driven by digital. Smaller, niche digital stations are building thei audiences, while some of the bigger BBC brands, such as Radio 1, 2 and 4, are losing weekly listeners. Bauer Media’s Absolute 80s, an offshoot of Absolute, attracted nearly 1.5 million weekly listeners in the quarter, while Kisstory, a sub-brand of Kiss, exceeded one million – likely taking listeners away from Radio 1. Online and mobile are growing vehicles for youth stations. Michael Williamson, the head of audiovisual planning at Carat, calls Global’s Smooth Radio "a big success story, up 40 per cent in reach". It seems to be luring listeners away from Radio 2. He adds: "The brand extensions are growing the overall listenership. This quarter, they seem to have taken listeners from the BBC." That said, Williamson warns: "The more stations there are, the more listenership there is, but also the more fragmented it becomes – similar to when Sky launched in TV. It gives more choice in radio, and people might not listen as much to Heart and Radio 4, but there are more niche targeted audiences." To help advertisers navigate the complex digital landscape, Global last year launched Digital Audio Exchange, which has access to more than 70 platforms. Williamson says Dentsu Aegis Network has used Dax for about ten brands since its launch, including some that do not usually consider radio but were attracted by Dax’s ability to target audiences. This week, Dax signed a partnership with WPP’s Xaxis. Rajar figures show that digital consumption of radio has risen to 37.9 per cent of listening, although growth has slowed considerably over the past year. Many in the commercial sector are pinning hopes on a continued rush to digital to lure advertisers with easily reachable, targeted audiences. However, many listeners are stubbornly refusing to part with their analogue radio sets.